When we first meet Lyn and Iona, their combined appearances immediately mark them out as different, as the kind of people society in general will be unkind to. And so it proves in Deborah Haywood’s first feature, a strikingly misanthropic and unremitting tale of deliberate social exclusion and unconscionable bullying. That both Lyn and Iona are victims is a given: they mis-read social cues, trust in others even when experience teaches them they shouldn’t, and persevere in the face of untold setbacks. They’re figures of fun for the people they encounter, a source of endless amusement and/or disgust, but such is the nature of their own needs that they carry on, hoping to make some connection – any connection – that can exist independently of their own. Being that much older (if not wiser), Lyn is more reluctant to engage with others; she’s had enough disappointment in her life already, and the depth of the pain she’s had to endure because of her physical appearance can only be guessed at (when she explains the circumstances of Iona’s conception it’s horrifying and heartrending at the same time). She tries her best, but the self-styled Dafty One (Iona is Dafty Two) can only absorb the blows she receives with a grieving acceptance. Iona’s plight is explored in greater detail, and Haywood really piles on the agony. As Keeley and her pals take her under their wing, their ulterior motives are as obvious as Iona’s desperate need to fit in. It’s an awful thing to contemplate, but there’s a horrible symbiosis here, and the script exploits Iona’s capacity for self-abasement in such a rigidly unforgiving way that what begins as bullying becomes something worse: a situation in which she is entirely culpable. 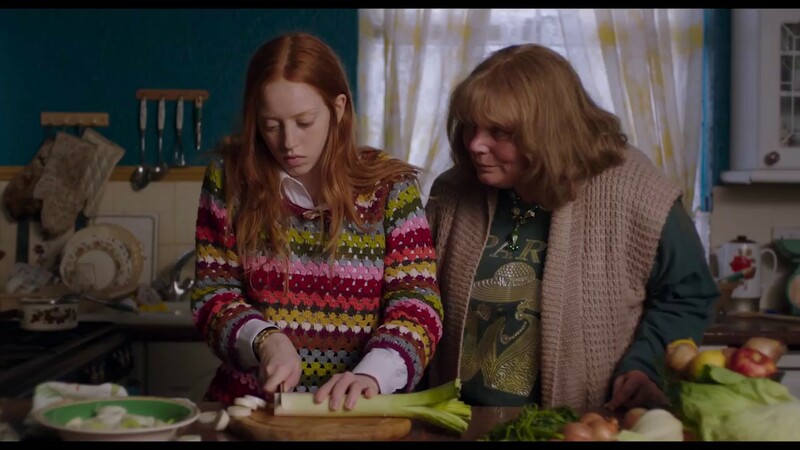 Haywood orchestrates Iona’s journey of self-deception as a terrifying coming of age drama spliced with fantasy moments that serve as pointers to the character’s self-delusions. 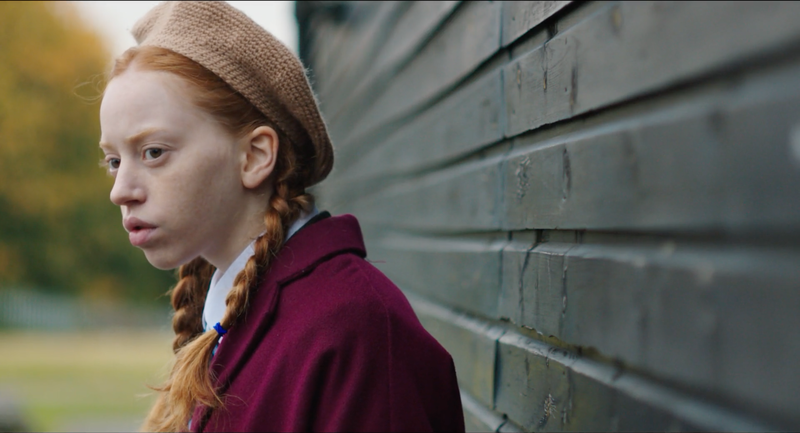 It’s a supremely confident first feature, enhanced by Nicola Daley’s impeccable cinematography, and featuring two exemplary and moving performances from Scanlan as Lyn and Newmark as Iona (in her first starring role). Both actresses shine, highlighting their characters’ innate feelings of loneliness and vulnerabilities, and making the viewer hope that they’ll find some small measure of acceptance, even though it’s unlikely. In some ways, this is an urban horror movie, and there are moments of body horror that Haywood could have taken further, but she employs a restrained, matter-of-fact approach that is actually more effective. Mesmerising and fascinating, this an impressive first feature that isn’t so easily shaken off once it’s been seen. 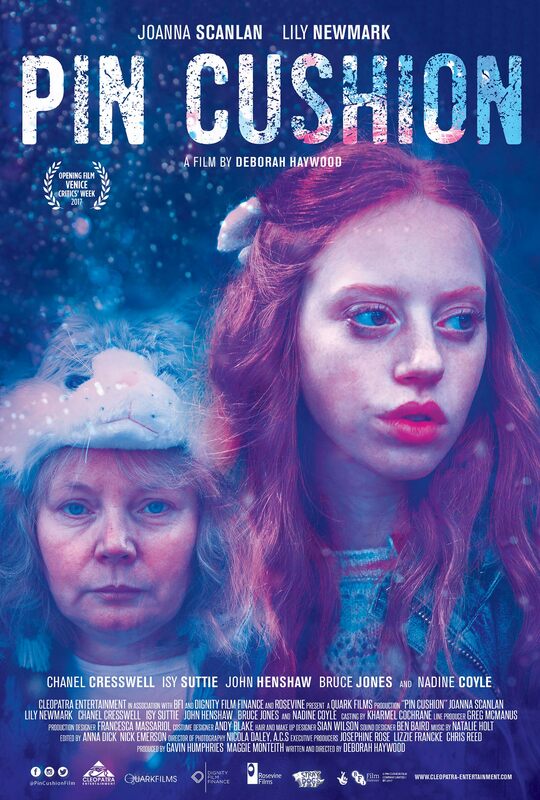 Rating: 8/10 – with a deeply unsettling mise en scene and two central characters whose lives are blighted to such an extent that each successive misfortune they endure adds to the discomfort of spending time with them, Pin Cushion is a triumph for its writer/director; with an excess of style and form to help it along, this is a movie that’s unafraid to leave a nasty taste in the viewer’s mouth, or provide anything remotely close to a happy ending.